Jayne Payje is using Smore newsletters to spread the word online. Claymates, a local pottery business, offered Cullowhee Valley School an amazing gift! 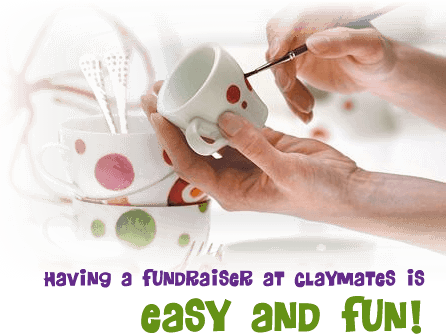 Anyone who comes to paint pottery and would like to support a good cause can help out. It's super easy too! When you go to check out, simply tell them that you're here to support CVS eighth grade. 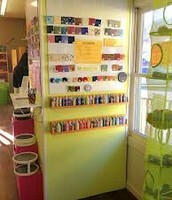 Claymates has offered to donate 30% of all profits earned from the total customers who want to help. These profits will help eighth graders at Cullowhee Valley pay for their trip to Charleston. Make sure to tell whomever is checking you out that you're painting to support Cullowhee Valley eighth graders! Claymates has something for everyone! No matter what you like or you are, you're bound to find something you would love to paint! You can also choose where to work! 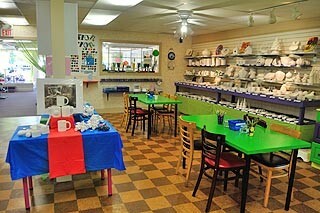 Claymates has plenty of tables and work areas, so don't worry about running out of room. At Claymates, you get to do what you want to do. Who would say no to that? Choose what you want to paint, how you want to paint it, and what you do with it. It's completely up to you! 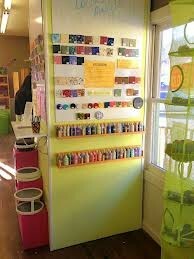 Claymates has plenty of detailing tools and paints to choose from. If you want perfect dots on your pottery, you can have it! So come on in, have some fun, and support a good cause!